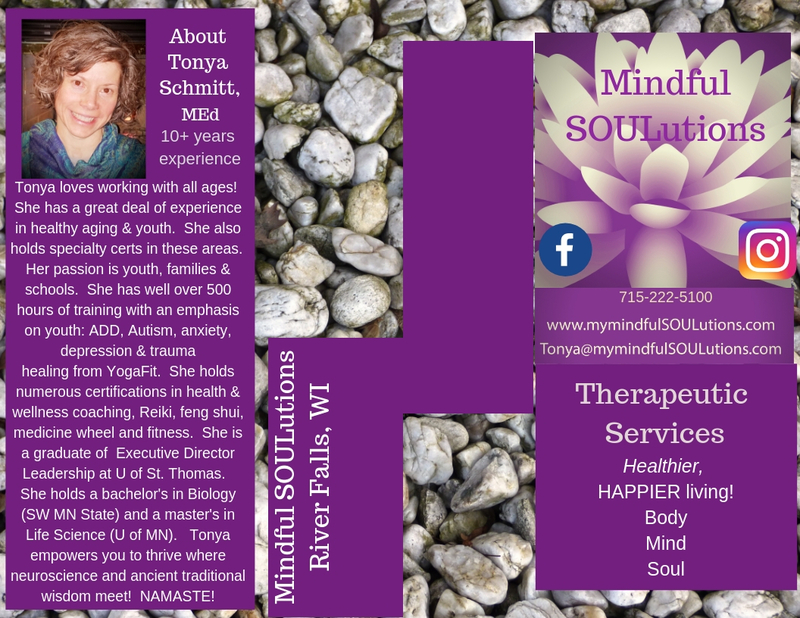 Mindful SOULutions, based in River Falls, WI, combines current evidenced based practices with ancient wisdom to empower you to live your healthiest, happiest life. Whether you are seeking for yourself, your family, your workplace, or your community, you will find many powerful tools! NAMASTE!